Oscar's Tavern, a popular dive bar at 1525 Sansom St. in Center City, was closed Wednesday, Feb. 21, 2018, after failing a city health inspection. The shut down is expected to be temporary. One of Philadelphia's favorite drinking holes closed its doors this week to address a long list of health violations flagged in a report by the city's Office of Food Inspection. 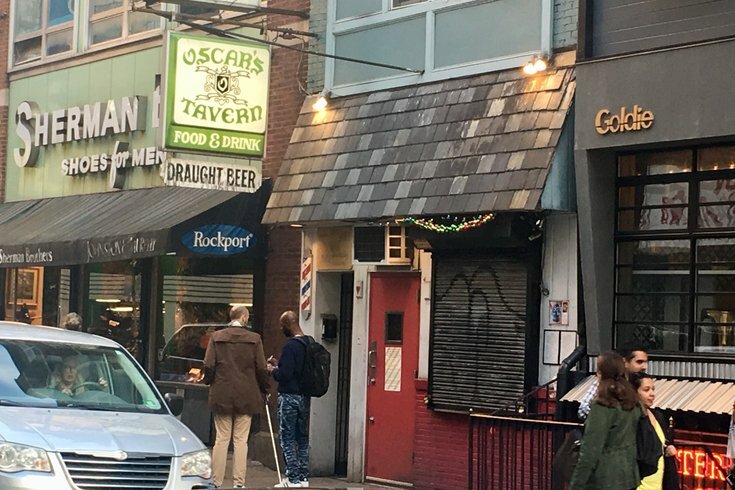 Oscar's Tavern, 1524 Sansom St., underwent its annual inspection Tuesday and was cited for multiple health concerns, including cigarette butts found on the floor in the food prep area and mouse droppings on a food contact surface of the kitchen's heating lamp, among other disturbing places. Inspectors noted finding a "black residue, pink slime" on the interior of the bar's ice machine and small black flies harboring around a floor drain and catch basin in the basement. "Due to imminent health hazards observed during this inspection, the establishment has been issued a Cease Operations Order and must discontinue food operations immediately," the report concluded. "The establishment cannot operate for a minimum of 48 hours." A person at Oscar's who answered a call to the bar Wednesday afternoon, questioned for a response to the inspection results or a message to the bar's customers, simply said, "No." Without downplaying the seriousness of the health violations, it is doubtful that a place where Bill Murray grabs a drink in Philly will go unforgiven, in time, or no time.